Are the Gray Aliens Insects? While I was talking with a friend she told me about her insect phobia. We humans have an intense aversion to certain crawling or flying creatures, as well as to spiders. Spiders and insects invoke such fear they cause panic and can reduce many of us to tears. Speaking about creepy bugs reminded of my childhood and how I used to collect insects. I hunted them in trees, bushes, under rocks or crawling on the ground, and studied them with interest, and yes some of them frightened me deeply. Perhaps it was a subconscious attempt to waylay my fears. It didn’t work. To this day a spider or crawling insects sudden appearance can paralyze me with fear. In 1961 I saw what was possibly the first pictures of the Gray aliens, as drawn by Betty and Barney Hill after their well publicize alien abduction. The aliens they drew looked familiar. My first thought was that they were insects except for the lack of antennae. 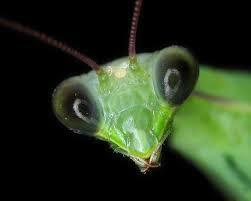 To me they most resembled the grasshopper, however the praying mantis shares some of the same facial qualities. 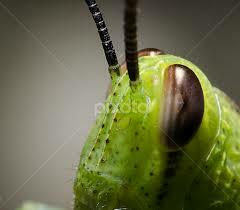 The Grays facial structure and large slanted black eyes certainly do resemble insects. Could this be the reason they incite such dread? Imagine waking and discovering the Grays have abducted you. Could you look into their insect-like face without feeling sheer terror? In the Gray Guardians Series, I depict the Grays’ physical appearance as insect-like caused by a mutation brought on by their own scientists. Today many believe that the Grays are here abducting us and using human DNA to reverse their mutation or create a hybrid race. Is human DNA the solution for the Grays salvation? Do you think the Grays are possibly all or part insect? Is the possibility the Grays being insects make them more frightening?